Puranas states that out of many thousands of gopis, sixteen thousand are predominant and among them 108 gopis are very close , eight are still more prominent . Radharani and Candravalli are very prominent and Srimathi Radharani is the most prominent. Because Radharani possesses all the charm and sweetness to attract Lord Krishna . Braj Bhumi is the most sacred dham spread over 168 miles- 42 miles on each direction with Mathura as the center. The holy place comprises of Mathura, Goverdhan, Gokulam Barsana ,Vrindavan and the surrounding 12 forests. The Supreme Lord manifested Himself as Lord Krishna along with HIS attendants and enacted various pastimes 5000 years ago in Dwapara yugam which attracts millions of devotees to have darshan of this holy dhaam repeatedly . Lord Krishnavataaram is the POORNA AVATARAM of Lord Maha Vishnu. Every inch in this place is sacred because of its association with Lord Krishna’s lotus feet (as He walked over all these places). 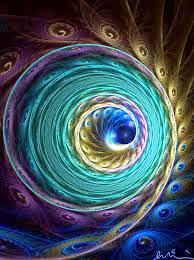 Anyone who visits this sacred place is bestowed with divine love . This is one of the seven mukthi tharum kshetrams , the rest being Ayodhya, Avatnti, Kasi,Kanchi, Puri, Dwarka. Also, Mathura is very dear to Lord Vishnu as it has Lord’s association in all the four yugams. Lord eternally resides in this place. Braj Bhoomi, is spread over a area of around 5,000 square kilometers spanning Mathura district of Uttar Pradesh, Bharatpur district in Rajasthan and Hodal Subdivision of Palwal Dist. of Haryana. On its northern fringe, Braj Bhoomi starts at a distance of around 115 KMs from the border of India’s capital New Delhi, along the National Highway 2. From New Delhi , Vrindavan and Mathura, the popular townships of Braj are thre to four hours drive (145 Kms) on the Delhi-Agra National Highway . Vrindavan and Mathura are at a distance of around 10 kilometers along the NH 2. HIS HEART ALWAYS CRAVED FOR THE GOPIKAS AFFECTION IN VRINDAVAN. The Lord was physically present in Dwaraka but always resided permanently in the hearts of the Gopis and Gopikas of Vrindavan. 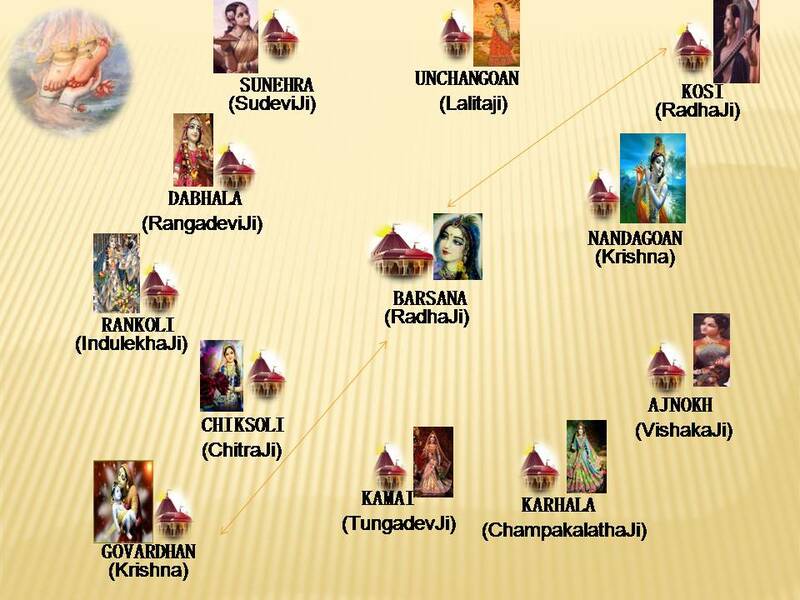 Of the 16,108 wives of Lord Krishna, eight are more prominent who are collectively known as Ashta mahishis. They are Rukmini, Sathyabama, Jambhavati, Kalindhi, Mithravindha, Sathya, Badra and Lakshmana. Likewise, out of lakhs of gopis in Vrindavan, eight gopikas(Ashta sakhis) along with Radharani are very prominent. The Eight Gopis who are the foremost, dearest and most beloved friends of Shri Shri Radharani are glorified as Asta-sakhis Gopis . Their names are Lalita, Visakha, Chitralekha, Champakalata, Tungavidya, Indulekha, Rangadevi and Sudevi. Radharani was always surrounded and served by her thousands of gopi-friends out of which eight of them are very prominent and are collectively known as Ashta sakhis. They are Lalitha , Vishaka, Tungadevi, Rangadevi, Indulekha, Chitralekha, Sudevi and Champakalatha. These sakhis appeared in different villages around Barsana. These sakhis individually had many assistants under them for serving Radha Krishna. 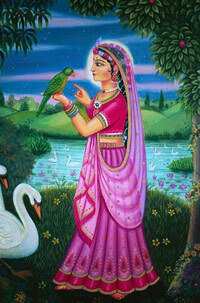 Few of them are elder to Radharani and others are younger to Radha. The appearance days of all these sakhis coincide with RAdhastami- Radharani’s appearance day which is celebrated after Sri Krishna Janmashtami. Starting from Sashti thithi upto Pournami, the appearance days of these ashta sakhis are celebrated and Radharani’s appearance day celebrated on RAdhashtami. The details of the Ashtasakhi temples are as follows . Dabara to Rakoli RAngadevi sakhi temple — about 4 kms and return to Barsana. Kamai to Karela Champakalatha temple (Rajasthan route)– 4 kms and return to Barsana. Sudevi, the twin sister of Rangadevi is the last among the ashta sakhis. Goddess temple is located at Sunhera village about 5 kms from Barsana and about 2 kms from Oonchagaon. She was born to Rangasara and Karuna on Bhadrapad maas Chathurdhasi thiti (one day before Pournami and 7 days after Radharani’s appearance day and was always engaged in the devotional service. She was an expert in training parrots . By training them to repeat Krishna’s names she used to console Radharani from the pangs of separation from Krishna. She was good at reading omens and predictions . She was also good at gardening and ensured that choicest flowers bloomed to decorate Srimati Radharani. Radae Radae Radae Radae Radae Govinda! Brindavana Chanda! Anaada natha Deena Bandoo Radae Govinda! Thaila Sarayai Ulla Bhakti Bhavana …….Scintillating! – Adiyen Ramanuja Dasan! Jai Sriman Narayana!